Our very own Veggie Hero Dr. Amy Lanou is quoted in this Associated Press story! Sam Silverman is co-captain of his high school football team — a safety accustomed to bruising collisions. But that's nothing compared with the abuse he gets for being a vegetarian. "I get a lot of flak for it in the locker room," said the 16-year-old junior at Westborough High School in Massachusetts. "All the time, my friends try to get me to eat meat and tell me how good it tastes and how much bigger I would be," said Silverman, who is 5-foot-10 and 170 pounds. "But for me, there's no real temptation." Silverman may feel like a vegetable vendor at a butchers' convention, but about 367,000 other kids are in the same boat, according to a recent study that provides the government's first estimate of how many children avoid meat. That's about 1 in 200. Other surveys suggest the rate could be four to six times that among older teens who have more control over what they eat than young children do. 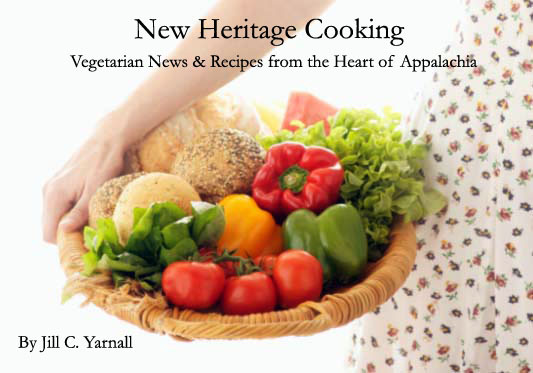 Vegetarian diets exclude meat, but the name is sometimes loosely worn. Some self-described vegetarians eat fish or poultry on occasion, while others — called vegans — cut out animal products of any kind, including eggs and dairy products. Anecdotally, adolescent vegetarianism seems to be rising, thanks in part to YouTube animal slaughter videos that shock the developing sensibilities of many U.S. children. But there isn't enough long-term data to prove that, according to government researchers. The new estimate of young vegetarians comes from a recent federal Centers for Disease Control and Prevention study of alternative medicine based on a survey of thousands of Americans in 2007. Information on children's diet habits was gleaned from about 9,000 parents and other adults speaking on the behalf of those under 18. "I don't think we've done a good job of counting the number of vegetarian youth, but I think this is reasonable," Amy Lanou, a nutrition scientist at the University of North Carolina-Asheville, said of the government estimate. She works with the Physicians Committee for Responsible Medicine, a vegan advocacy group. Vegetarians say it's animal welfare, not health, that most often causes kids to stop eating meat. 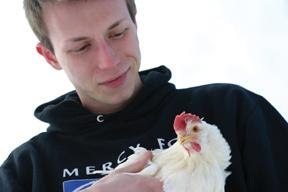 "Compassion for animals is the major, major reason," said Richard Schwartz, president of Jewish Vegetarians of North America, an organization with a newsletter mailing list of about 800. "When kids find out the things they are eating are living animals — and if they have a pet...."
Case in point is Nicole Nightingale, 14, of Safety Harbor, Fla. In 2007, Nightingale was on the Internet to read about chicken when she came across a video on YouTube that showed the birds being slaughtered. At the end, viewers were invited to go to the Web site peta.org — People for the Ethical Treatment of Animals. Nicole told her parents she was going vegan, prompting her mother to send an angry letter to PETA. But the vegan diet is working out, and now her mother is taking steps to become a vegetarian, too, said Nightingale, an eighth-grader. She believes her experience was typical for a pre-adolescent vegetarian. "A lot more kids are using the Internet. They're curious about stuff and trying to become independent and they're trying to find out who they are," she said. Vegetarians are most often female, from higher-income families and living on the East or West coasts, according to previous studies. One good place to find teen vegetarians is Agnes Scott College, a mostly white, all-women's private school in suburban Atlanta with about 850 students. Roughly 5 to 10 percent of Agnes Scott students eat vegetarian, said Pete Miller, the college's director of food service. Frequently, the most popular entree at the college dining hall is a fresh mozzarella sandwich with organic greens. And the comment board (called "the Beef Board," as in "what's your beef?") often contains plaudits for vegetarian dishes or requests for more. "They're very vocal," Miller said of his vegetarian diners. Eating vegetarian can be very healthy — nutritionists often push kids to eat more fruits and vegetables, of course. For growing children, however, it's important to get sufficient amounts of protein, vitamins B12 and D, iron, calcium and other important nutrients that most people get from meat, eggs and dairy. Also, vegetarian diets are not necessarily slimming. Some vegetarian kids cut out meat but fill up on doughnuts, french fries, soda or potato chips, experts said. "Vegetarian doesn't mean low-calorie," said Dr. Christopher Bolling, who directs weight management research at Cincinnati Children's Hospital Medical Center. He said roughly 10 to 15 percent of the overweight kids who come to his medical center's weight loss program have tried a vegetarian diet at some point before starting the program. Rayna Middlebrooks, 15, last year started a weight-loss program offered by Children's Healthcare of Atlanta, a nonprofit hospital organization. She said she's been on a vegetarian diet for four years and now carries about 250 pounds on her 5-foot-3 inch frame. Her mother confirmed that, and said that although Rayna does a great job of cooking vegetable-rich stir-fried meals for herself, the girl also loves pasta, soda and sweets. "I have to watch her with the candy," said Barbara Middlebrooks, of Decatur. On the flip side is Silverman, the Boston-area football player. He's pleased with his health and has no problem sticking to his diet. Rather than try to negotiate the school cafeteria line, he brings his lunch to school. It's the same lunch every day — rye bread, some chicken-like tofu, cheese, a clementine and an assortment of Nutrigrain, Cliff, granola and Power Bars. He was raised vegetarian and said it's now so deeply ingrained that the idea of eating meat is nauseating. Recently, he ate something he belatedly realized might contain chicken. "I felt sick the rest of the day, until I threw up," he said.